That’s not a golden lotus! 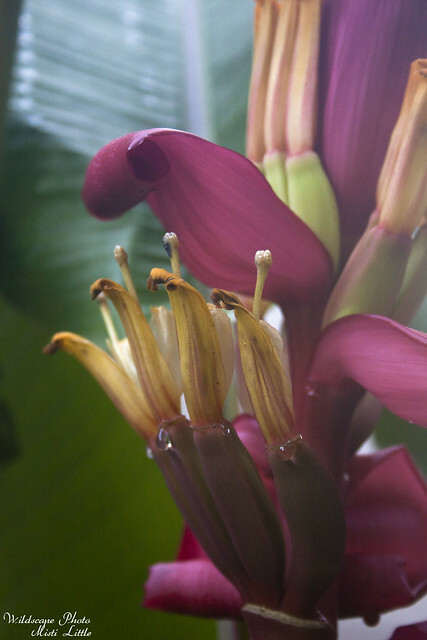 Sometime back in the fall or even last summer Chris’ dad brought us a banana tree from his yard that was supposed to be a golden lotus banana, a pup from one of the plants that we had given him back when we lived in Florida. 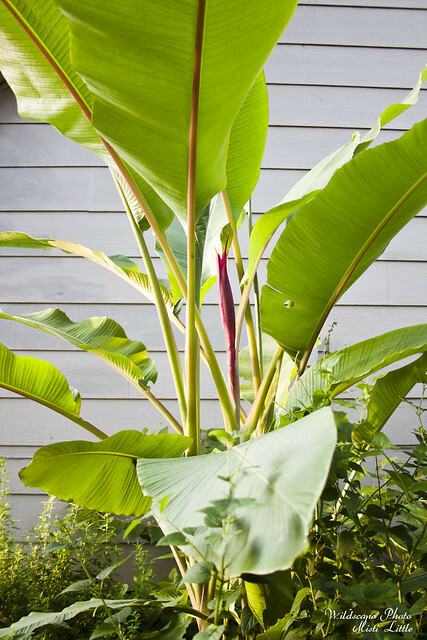 In our garden in Florida we had several varieties of banana trees that we grew. Anyway, the banana died back over the winter and with the very harsh winter this year I was still surprised that it came back up in the spring when the ground warmed up. 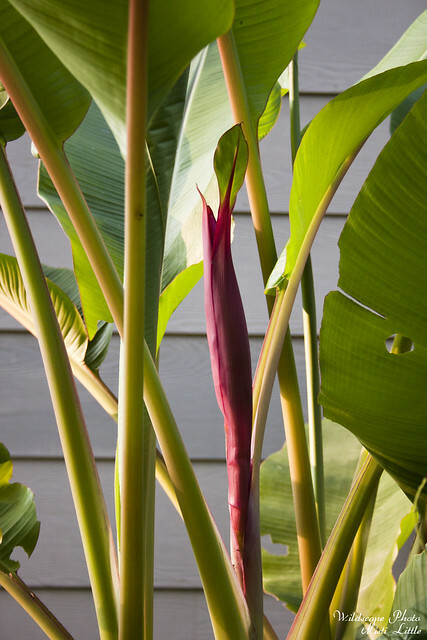 Golden lotus banana trees are typically squat and bushy so when the tree and its subsequent pups that were produced in our garden started growing taller I became less convinced they were golden lotus bananas. Last weekend that deal was sealed when I saw the pink flowers from the tree! Yep, it must have been one of the pink bananas that we had grown that had gotten mixed up in the lotus bananas that we’d passed on to his dad. I’m actually surprised that they flowered and are attempting to set fruit already! 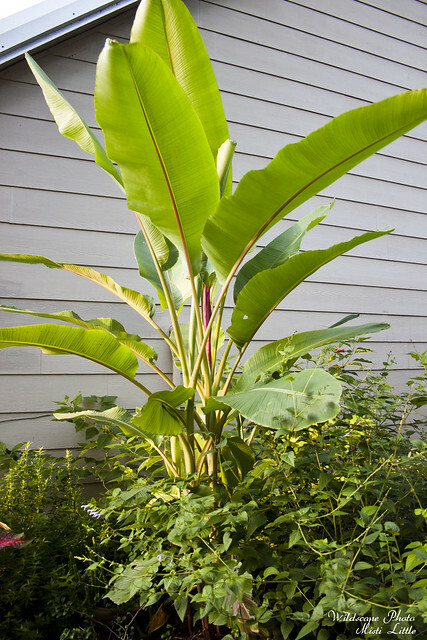 We also have a few banana trees from my dad, I think they are likely plantains rather than bananas, but they haven’t done that great where we planted them down by the old deck near the pond. I didn’t ammend the soil and the deer constantly nibble at them. Eventually we’re going to rebuild the deck and since we have extra stone from our other flower beds we were thinking of putting in a small garden down there. 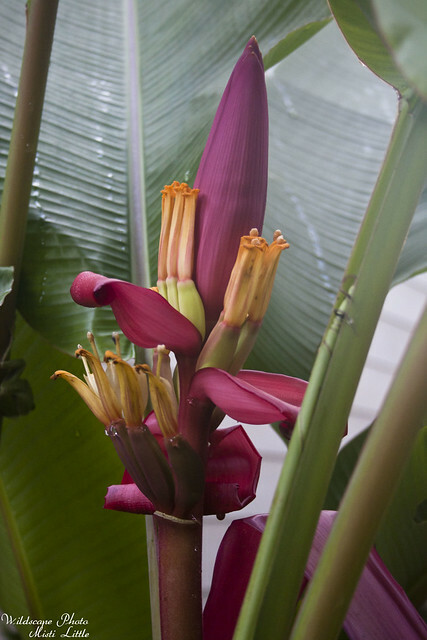 That would be great if we could get those banana trees to grow and produce fruit, too. Anyway, it was a nice surprise earlier this week to see in the garden, especially when I’ve been barely paying any attention to the yard this summer. Nice pictures – that’s what’s fun too about gardening- the surprises and smiles they put on our faces! Oh I love those! I think I need one for our yard. 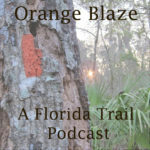 It took ours a very long time to come back this year too. Still have babies coming up from where I thought they died.